Manage your organization's users, licenses, projects, and activity from one easy-to-use dashboard. If you are an organization admin, you have access to a several tools that allow you to easily view and manage how your organization's instance of Benchling is used. Users: Manage Seat Management of users and licenses: including granting and suspending of licenses for modules to users, suspending/unsuspending user accounts, and managing the licenses your organization has purchased. Projects Dashboard: View a list of projects and their corresponding review status metrics, number of entries, and date last used. Users Dashboard: View usage metrics of users - including review metrics and entries created. 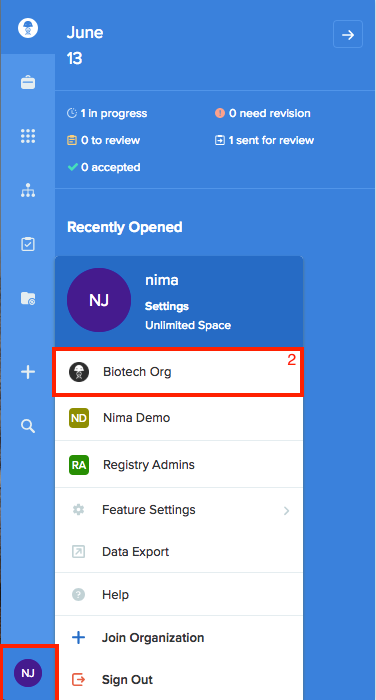 Click your avatar on the bottom-left corner of the navigation panel, then select your organization to open your Organization Settings. 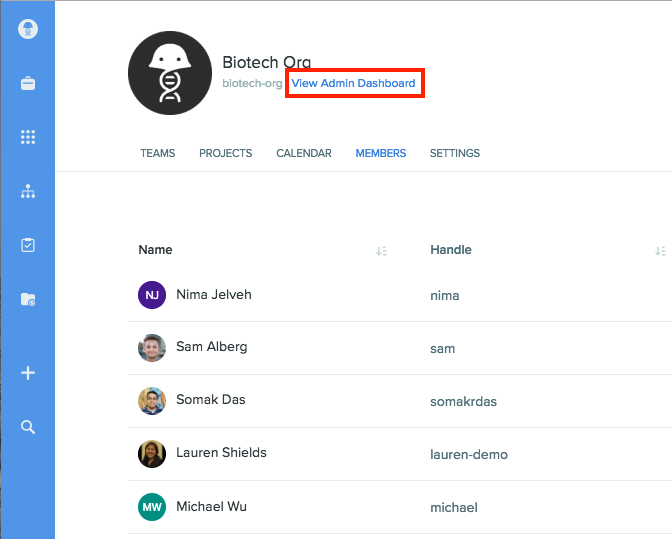 On your Organization Settings page, click View Admin Dashboard. This will open up your admin dashboard, where you can see your users, activity, project dashboard, and user dashboard. For further instructions on using the admin dashboard to manage members of your organization, please click here.